Learn Math The Easy Way! 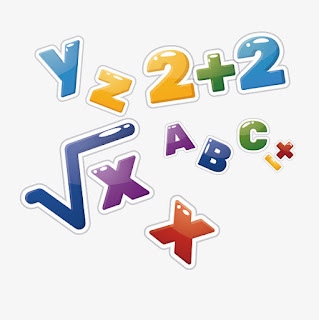 Math is a subject which can cause students considerable difficulty in elementary school, middle school, high school and college. Even those students who go on to study university math often find the subject challenging. Mathematics is the abstract study of measurement, structure, space, quantities, relationships and properties. Having a strong understanding of Math, logic and Mathematical concepts is an important skill both directly and indirectly in many careers as well as being an essential life skill. Math is a very wide ranging subject that encompasses many sub categories including Algebra, Calculus, Geometry, Statistics and Trigonometry to name a few. At all levels of study, Math is a highly competitive field that covers abstract concepts and many complex issues. Having math tutor is a great way to help a student understand difficult mathematical rules and concepts and be able to apply this knowledge to improve their math grades in a fraction of time. There are many high quality Math Tutors that can assist you or your children with mastering the art of Mathematics. Not all high school Math Tutors are equal so we encourage you to use this website to find the Math Tutors that can best meet your needs. Price: The cost of a Math Tutor varies depending on their area of specialty, qualifications, experience, and location of the math tutor. Location: As the use of a Mathematics Tutor is likely to be an ongoing occurrence, you may want to find a Math Tutor that lives near you or your school. Qualifications and Experience: Where Mathematics is concerned, experience matters! This site will allow you to obtain an overview on the background of each Math Tutor, their math tutoring experience and the specific subjects in which they specialize and are available to teach. There is a diverse range of Tutors that have varying qualifications and experience. Feedback: When finding a Math Tutor that is best suited to your needs it is always a good idea to read through the feedback that previous students have given the Math Tutor. You will also find the ratings past students have given each Tutor. Availability: Finding a Tutor that has the flexibility and availability to fit in with your busy schedule is important. In order to find out the availability of the Math Tutor or have any questions don’t hesitate to contact them with your questions. Algebra is a mathematical discipline concerned with doing calculation similar to that of arithmetic, although non-numerical variables are used. Initially algebra can seem quite foreign to students. However, with the help of an Algebra Tutor, one can quickly master the more advanced concepts. While most Math Tutors will have experience in tutoring algebra, when a student is specifically searching for an algebra tutor, it is important to carefully review the tutor’s profile to ensure they have sufficient experience in this field. If you are having difficulty with algebra and want to improve your grades, we encourage you to use this website to find an algebra tutor to help you through those difficult problems. Calculus is the mathematical study of change and rates of change. Calculus has wide applications in commerce and industry, in particular in the fields of science, economics and engineering. However, calculus, including both differential calculus and integral calculus is extremely complicated involving many challenging problems. If you are having difficulty with problem solving, a calculus tutor can work through these problems with you, allowing you to improve your success and efficiency. When selecting a calculus tutor it is best to ensure the math tutor has experience in the field. You can do this by reviewing the profiles of math tutors you find using this website. If you are unable to improve your math report card and grades or are having difficulty with calculus, we encourage you to use this website to search for a calculus tutor to help you solve your calculus problems. Geometry is the mathematical field of study focused on the shape, size, relative position of objects and the properties of space. Geometry can be difficult for those who don’t have a visual mind. However with sufficient practice and the help of a geometry tutor it can be quickly mastered. Finding a geometry tutor isn’t always easy. You should carefully review the profiles of math tutors and select one who has specific experience teaching geometry. Also carefully review the feedback provided by others for an indication on the quality of the Math Tutor. If you are serious about improving your Math and geometry grades, we suggest you use this website to find an appropriate geometry tutor. The math tutor will be able to help you through geometric concepts and problems allowing you to quickly master the subject. Statistics is the study of the collection, organisation, analysis, interpretation and presentation of data. It is a subject which requires strong attention to detail and discipline. Students studying statistics for the first time often find this challenging. However a Statistics Tutor can teach you good habits, discipline and rules of thumb to help you master the subject. If you are looking for a statistics tutor we encourage you to use this website to find the relevant tutors. Statistics is a highly specialized subject, therefore please carefully review the profiles of the relevant math tutors including their ratings and feedback, to ensure the tutor is able to meet your tutoring needs. Trigonometry is the mathematical discipline concerned with triangles and the relationships between the length of their sides and the angle between those sides, this has important scientific applications such as in the study of waves (and more broadly in physics). Trigonometry can be a difficult subject to master. If you want to improve your grades a Trigonometry Tutor can help. If you are looking for a trigonometry tutor, we encourage you to search for trigonometry tutors in your local area. However, not all math coaches and tutors are equal, it is important to review their profiles and rating to ensure they have the required skills and experience to meet your requirements. We encourage you to use this website to find tutors in location, and to review their profiles. If you are still unsure if particular tutors will be able to meet your needs, you can contact them with specific questions. We have compiled a list of several useful tips when looking for a Math Tutor as well as general math tips you can use to improve your mathematics skill set and achieve positive results. It is helpful to plan and set the same time each week aside for Math Tutoring as it allows both you and the Math Tutor to plan their week accordingly, reducing the chance that either of you cannot make it one week. In order to get the most out of your Math Tuition, it is best to be prepared. Before meeting with a Math Tutor, work out what areas of the subject you need assistance with. If there is a particular math question that you are having difficulty with, be sure raise the question with your Math Tutor at your next session. This is a great way to learn as it makes it clear which areas you need assistance with as well as being great practice in the application of Mathematical concepts. Mathematics is a subject where significant improvement and strong results can be achieved through hard work and perseverance. Sometimes all one needs is the right Math Tutor to assist them in the learning process. Recently, someone was sharing how their child was beginning to struggle with more advanced elementary math. There were problems with keeping the numbers organized and keeping track of the math and the standard ‘use graph paper’ advice was given. While graph paper may be all that’s needed, in reality, things that are easy for kids aren’t hard to keep track of. Most of the time we take messy math as a sign that kids need help being neater, whereas I would argue that messy math doesn’t matter if kids know what they are doing. By all means, break out the graph paper, but don’t expect it to be a cure all. As I’ve mentioned, fractions are confusing and are often the first conceptually abstract math kids experience. 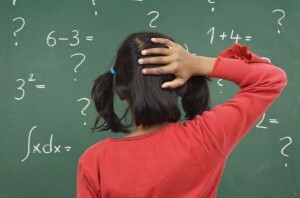 Kids don’t even need to have learning differences to struggle with fractions, they are confusing all on their own. To complicate things, schools and teachers often do a haphazard job of teaching fractions as well. In my tutoring, I’ve seen textbooks completely ignore essential fraction concepts. The book will teach fractions step-by-step right up to that critical point and then gloss over major concepts like equivalents, reducing and borrowing in subtraction (which for fractions is different than ‘normal’ subtraction’). In addition, having corresponded with several math teachers, there are teachers who are coasting and phoning it in due to burnout or other issues. I once asked a math teacher to explain the math theory for cross canceling in fractions* only to be met with silence followed by a grudging “I’ll have to look that up.” It’s no wonder kids are confused! If you think maybe your child is struggling with math, but aren’t sure, here are some guidelines on identifying math learning disabilities. -Children are unable to (or late) count 4 objects by the age of four and understand the quantity of four. -Children are unable to count 15 objects and understand the quantity of 15 by the age of 5. One of the more interesting dichotomies that strikes me about our culture is how biased educational activities are toward reading. For example, we have a ‘My Baby Can Read’ program that teaches young toddlers to read, but there is no similar product claiming to produce the next Einstein. In our culture, the path to genius is paved with letters, numbers need not apply. This is wrong. Very wrong. It means that math literacy is left to the fates and a child’s own innate ability. And then everyone wonders why Johnny can’t do Algebra and why Jane doesn’t know a hypotenuse from a Manolo Blahnik. Like reading and language, acquisition of math literacy starts in infancy. It begins with pattern recognition. First knowing the routines of the day and week, then being able to put together puzzles or predict which color bead should come next on that necklace you’ll be receiving for Mother’s Day. Then counting followed by skip counting (which is often neglected until elementary school). Here are links to some articles on another site that I wrote before I started this webpage. How to Develop Math Literacy in Preschool Kids is full of ideas for parents of toddlers. Math literacy starts at birth and should be nurtured with the same attention to detail given to reading. At this age, math should be play based which makes it guaranteed fun for parents and kids alike. 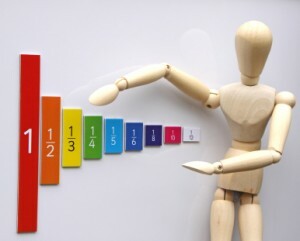 How to Help Kids Understand Fractions is full of ideas on ways to teach fractions. Fractions are a huge problem area in math. Kids consistently struggle with fractions. I call fractions ‘tricksy’ because one addition problem may also use multiplication and division. I think fractions are one of the first times kids are faced with multi-operation problems and figuring out when to do what becomes overwhelming. Copyright © 2018 : www.findmathtutor.com.